When Facebook abruptly purged more than 800 publishers and accounts on 11 October, claiming that the purges addressed “spamming” behavior that violated Facebook policies, it was a tremendous disturbance in the Force for many conservative voices. People who had spent years building an online presence with Facebook as the core were suddenly cut off from all their followers, their content, and in a number of cases, their livelihoods. This was a political purge, focused on publishers of political content. It has affected some of their non-political commercial interests as well, but the victims were selected because they were political publishers. The vast majority of the accounts eliminated were conservative or right-wing. A small number were left-wing, and in its coverage of the event, the Washington Post chose to focus on two left-wing sites that were removed by Facebook. The left-wing publishers may not be representative of the type of site that was affected. But the account holders’ concerns about the purge are exactly the ones also expressed by right-wing users. Another publisher pointed out that it was difficult to comply with the rules when Facebook kept changing them. There is a lot to say about the Facebook purge, and much of it will need to be covered elsewhere. The point that this action seems timed to cut right-wing activists off from their organizing forums just before the midterm election is an obvious one. A super-sized issue, moreover, and one that is going largely unaddressed, is what “we,” collectively, really need to be doing about “authenticity” in online behavior. Social media – especially Facebook and Twitter, which have come under the most pressure in the “Russian interference” narrative about 2016 – have been defaulting to demands for greater identifying information and self-exposure from users. But is that really what we want, for forums in which the purpose of participation is speech? Anonymous speech, and being able to speak freely about ideas without exposing oneself to special risk, are bedrock concepts for our principles of both freedom of speech and social tolerance. Totalitarian governments are the ones that demand to track and hold citizens at risk for their speech, refusing to tolerate anonymous speech because it denies them that leverage. This is not an easy issue. It relates, for example, to the different obligations of a content publisher, like a newspaper, versus an Internet utility, which merely hosts activities whose content it is not responsible for (unless the content is defined as criminal). But in the realm of the Internet, it’s still largely uncharted legal territory. This extremely important but still undecided question-set – user “authenticity,” privacy and freedom, the impact of social-media speech (e.g., on elections) and what regulation it may require – is at the heart of much of the pressure now creating a crisis in the operation of social media. That kind of dynamic – systemic pressures creating a crisis for the operation of a system – is one that George Soros has exploited over and over again in the past 20-30 years, not just to make money but to shape outcomes and new crisis points for the systems involved. With the social media platforms, we can actually discern the same crisis features in Soros’s most famous exploit, the 1992 raid on the British pound that drove Britain out of the European Exchange Rate Mechanism (ERM). Ultimately, the British exit caused the ERM to effectively collapse. In studying that raid, almost everyone has focused on the fact that Soros gained $1.5 billion from it in the span of a month. But the more important point for a self-appointed kinetic “philanthropist” like Soros is that he drove the ERM onto the ropes and killed it. He needs tremendous resources to achieve effects of that kind, so the money matters. But it’s the effects on human systems that he is really after. To open the brief comparative survey here, we must start with the obvious question: why did Soros in 1992 want to kill the ERM? What could have been the purpose? Don’t forget that. It’s not the international mechanism per se that he saw as flawed, although it had legitimate drawbacks. The basic flaw was that it was predicated on sovereign nations acting, as nations, in what they perceived to be their own interest. Everything pivots around that point, in mapping and analyzing what motivates George Soros. Whatever he is doing, there is an element of perceiving national interests, traditionally conceived, as an obstacle: a systemic strain, a flaw in the mechanism. I don’t think we were the cause. Soros operates in a different manner compared to other financiers, which attracted me. Since we were friends he asked me: have you talked to the Finnish authorities about what is coming? I said yes. He responded that he always does that, he warns the authorities of what he sees. When I was his partner, we always met with officials before, during or just after events. Right after the ERM you would think that’s controversial, but the leading partner in the fund and me (I was number two at that time) met with the British Treasury and with the Bank of England. We told them what we did and why we did it. We also met with the Bundesbank, with Jean-Claude Trichet, who was then in the French Treasury. Soros … feels a moral responsibility to communicate what he sees. With that in mind, let’s lay out the three key features of Soros’s exploit in raiding the British pound in 1992. One was the appearance of strains in the ERM: the Exchange Rate Mechanism by which the central banks of ERM member states in Europe sought to regulate their currency exchange rates. It cannot be overemphasized that Soros was only one of many observers who recognized that the strains were present in the system. The difference between Soros and most pundits and policymakers was that Soros had a vision for breaking up the mechanism, rather than trying to fix and preserve it. Soros basically identified the perceived national interests of the central banking authorities as “the problem.” Those perceived interests tied national authorities’ hands and made them timid and recalcitrant. There were other issues, but the point here is not to argue the ERM; it’s to establish that it was a prevailing mechanism that was under significant stress – causing policymakers to have to react constantly – and that Soros saw it as a flawed mechanism in need of breakup and transformation. It did get transformed, ultimately, into the supranational euro currency. To some extent, Soros got what he wanted: the elimination of nation-state vestiture in the control of individual currencies, at least as a formal matter. The second feature was the existence of strong system participants and weak ones. These were relative characterizations, with their meaning dependent on the fact that the players were linked to each other in the system. “Strength” and “weakness” were only secondarily about inherent virtues or flaws (e.g., in national economic and tax policies), although reading such factors was important to deciding how vulnerable a currency would be to attack. The primary dynamic was about the fact that there were stronger participants to encourage, relative to the weaker ones that could be attacked to achieve specific goals. I believe that for Soros, it’s also about whose function he approves of. In a currency-exchange regime like the ERM, the strong currency is the one filling the role that effectively transcends national interests, as well as serving them. And in the system’s dynamic, the “flaw” is that other, weaker currencies get special pleading and protection by their nations, and thus, in Soros’s view, gum up the works. In 1992, to take the simple illustrative example, Germany and the Deutsche mark were a strong participant in the ERM, whereas Britain and the pound, and Italy and the lira, were weaker ones. The third feature of the Soros crisis was that Soros was buying and selling, at the same time he was communicating with national banking authorities to make known his opinions on the dangers in the overstrained ERM and the British pound’s artificially bolstered position. In other words, Soros, to the extent he could, was shaping the conditions he was warning bank authorities and policymakers about. At the time, Soros perceived himself to be reacting to conditions that preexisted his intervention. There was reason for that perception, since the ERM was, objectively, under various stresses due to long-building factors over which Soros had never had influence. He was, and perceived himself to be, taking action to increase the stress and accelerate the crisis that was already building anyway. We’ll never know if a focused, destructive crisis like the one Soros precipitated was inevitable. It may not have been. But the point is still that Soros was taking advantage of strains that were already at work in the system. That said, in the weeks before “Black Wednesday” – 16 September 1992 – Soros exacerbated the strains, with selective buying and selling of currencies designed to focus the pressure on the pound. After his success with the raid on the pound, Soros moved to a new level of operation, with an additional aspect to feature number three (i.e., the buying/selling manipulation). That aspect, which was demonstrated in his attack on the Russian ruble in 1998, was the attempt to shape expectations with public commentary about the target. But it was also in the 1990s, at the time the Warsaw Pact and Soviet Union broke up, that Soros began seeding Europe with his network of Open Society institutions. It is obvious, in retrospect, that he had a vision for a unique form of political influence at the same time he was charting his attack on the pound and the ERM. As the decade wore on, he coordinated financial, commercial, and political activities to shape the conditions for results that transcended any one realm. There have been other such actors throughout history, but Soros’s post-modern refinement is that he doesn’t work on behalf of a national sovereign (e.g., like a Cardinal Richelieu for Louis XIII), but in service of his own supranational vision. By the 2000s, Soros had largely shifted his public emphasis to politics. In 2004, as David Horowitz and Richard Poe recounted in their 2006 book Shadow Party, Soros tilted at his biggest windmill to date: the U.S. presidential election, in which he threw his weight behind Democratic candidate John Kerry. Soros didn’t achieve his goal in that case, but 2004 marked a transition to the period Soros remains in to this day: one of seeking to shape and exploit crises in political and social conditions. In 1992, he took what he found in a niche system – a strained ERM – and worked with it. In 2018, now a veteran of attacking numerous strained systems, Soros does more than watch, wait, and pounce. He goes on the attack years in advance, and manipulates stress on increasingly fundamental, pervasive human systems, up to and including the very basis of a nation-state, its defined borders. When the anatomy of the 1992 raid on the British pound is laid out, it’s surprising how obvious it is that Soros is engaging in one of his signature campaigns with the strained system of social media. Social media are essentially about communication, and as such are fundamental operations of human society in both a political and social sense. The technology is new, but the human dynamic is as old as the species. It’s to be expected, therefore, that in waging a campaign to increase pressure on them, Soros is leading with a political thrust – what has become a specialty of his in the last decade. Many readers will be aware that organizations funded by Soros, like Media Matters (formerly run by David Brock) and David Brock’s current American Bridge/Shareblue enterprises, are actively working to shape and put special political stress on Facebook, Twitter, and (to a lesser extent) other platforms like YouTube. These two left-wing groups, as well as others, have put considerable resources into bolstering the “Russian interference” and “fake news” narrative, which underpins their justification for attacking both the social media companies and the conservative voices on social media. Media Matters, indeed, is a bellwether of where the social media hammer will fall. Onslaughts like this and this are relentless. If Media Matters singles out a conservative publisher for vituperation, that publisher can expect to start seeing peremptory suspensions and even outright banning. The effect of this effort is to increase the ire of users and the skepticism of advertisers; make using social media less satisfying for many; and keep social media companies in the public eye, often the subject of bad news stories and under suspicion and concern from Congress. It’s also – significantly – hard on the bottom line for at least some companies, notably Facebook and Twitter. It’s intended to be. But fewer readers may know that in January 2018, at the World Economic Forum in Davos, Switzerland, Soros spelled out clearly his perspective on social media as a strained system: one, like the old ERM, that needs breakup and transformation. Soros spoke very negatively about social media in a speech on 25 January, signaling in his own way that he would be coming for the social media companies with guns blazing. His complete remarks can be read here, and they are important for the context they provide. 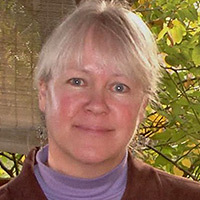 The bottom line is that Soros identified systemic conditions that we take for granted as evils in the system: the advertising basis of social media’s profitability; the existence of nation-states, which may want to take harmful advantage of social media’s power; the different approaches of the U.S. and the EU collective to defining and deterring monopoly. You and I may not necessarily see these as evils, but Soros does. And he laid out what, in his opinion, are the stressors on the social media system: the reasons why it must break up. When Soros suggests that something must break up, he intends to break it up. He was also disparaging about the effect of social media on people’s minds, attention span, and expectations. In the overall context of the speech, including its allusion to social media and the 2016 election, we should understand this as an elliptical reference to social media boosting the reach of dysfunctional “nationalist” politics, which Soros sees as simplistic and primitive. The real problem with social media is that it’s so hard to keep Soros’s political opponents from gaining an audience on their platforms. In this regard, Soros is merely in agreement with some left-wing political users and even executives in the media companies. But, as with his views on the ERM and the British pound in 1992, Soros doesn’t see fixing and preserving social media as the goal, but breaking them up so that something else must form. Therefore, the ongoing effort to make social media both functional and immune to destructive criticism is not what Soros is really behind. He didn’t break the British pound in order to save the ERM, and he doesn’t envision breaking Facebook in order to save the existing system of social media. And fomenting constant turmoil – increasing the strain – gets him closer to his goal. So the rumors of Russian bots continue, and the suspicions about “inauthentic behavior” by users, and the attacks on mostly conservative political accounts. A new accusation about Facebook misleading clients or exposing user information comes out every other week. The more frenetic activity and notoriety there are, the greater the strain. Make no mistake, meanwhile: the second feature of a Soros crisis is also present. There are strong and weak participants in the system. The weaker ones are obvious: Facebook and Twitter, which are coming in for the lion’s share of criticism from the “Russiagate” narrative. They’re also going through the most churn in terms of acting against their own interests, by kicking hundreds, even thousands, of profitable users off their platforms. 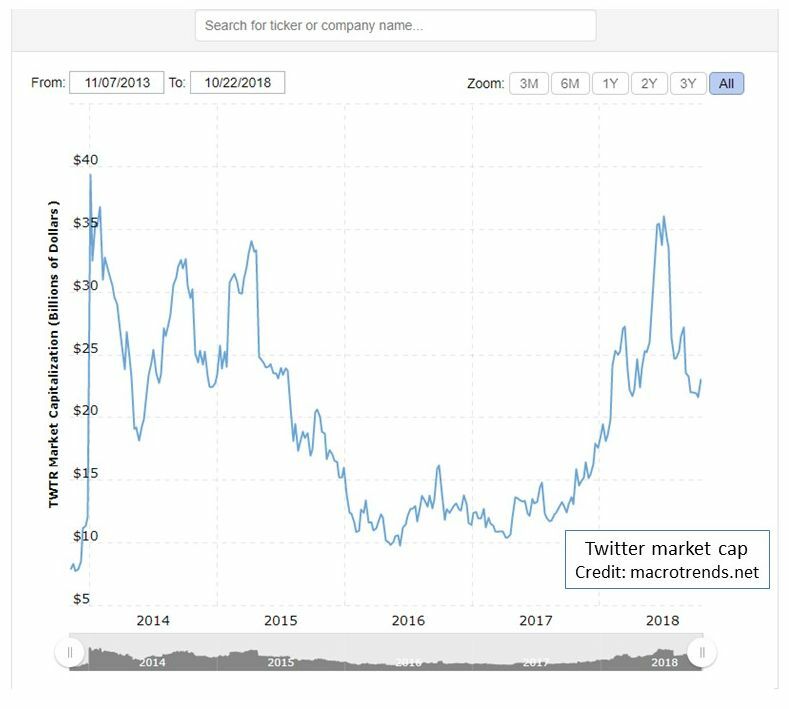 In terms of market value, Twitter has been something of a basket case for some time. 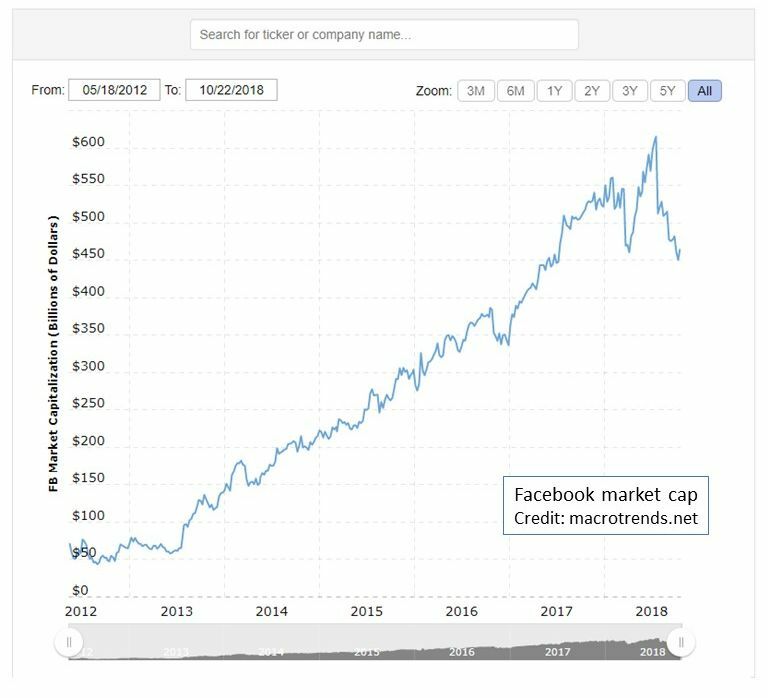 Facebook has been on a roller coaster in the last two years, with exceptionally steep losses in both 2017 and 2018, attributable to negative media attention and the loss of profitability that comes with changing platform-use policies frequently in an effort to stay ahead of influential critics – like Soros’s media squadron. This makes both companies increasingly vulnerable to what Soros no doubt envisions: collapse and reinvention. But there is a strong participant that gets less attention right now, and that’s Google, recently reorganized as the subsidiary of parent company Alphabet. Google owns social media platforms (namely YouTube; the Google+ platform has just shut down), but isn’t a social media company from the ground up. What it is, however, is a content broker: colossal, international – very accommodatingly so, with respect to China, for example – and politically connected. 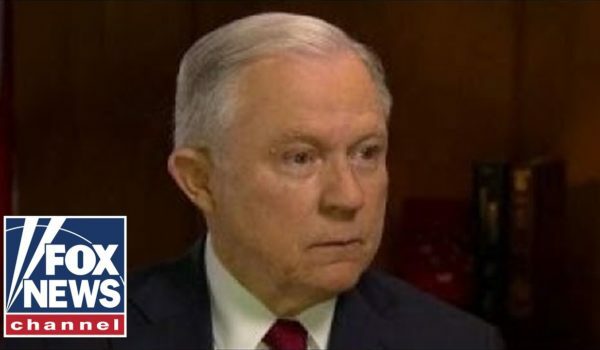 One of its connections is to Soros. In perusing a recently revealed internal memo from Google, entitled “The Good Censor,” NewsBusters pointed out that the memo’s authors quoted Soros as an expert on digital freedom and online censorship. That head-scratcher doesn’t resonate with most people – other than those who already accept the alien concept of “good censorship.” But it speaks volumes about Google’s relationship to Soros, and about a view of online censorship held in common by Google’s leaders and Soros. The bumper-sticker point that there can be “good censorship” is the key takeaway. Google is thinking internally along those lines, and that’s what Soros needs. Google is also interestingly immune at the moment to the squirmy dates with Congress that have created bad publicity for Mark Zuckerberg of Facebook and Jack Dorsey of Twitter. Google’s Sundar Pichai recently simply declined to speak to a congressional committee, and has faced no apparent consequences from that. Google faces no meaningful blowback from its willingness to design censorship tools for the Chinese government (in spite of the obvious conflicts with the values of its own employees) – while Facebook and Twitter twist in the wind over Russian bots and the 2016 election. 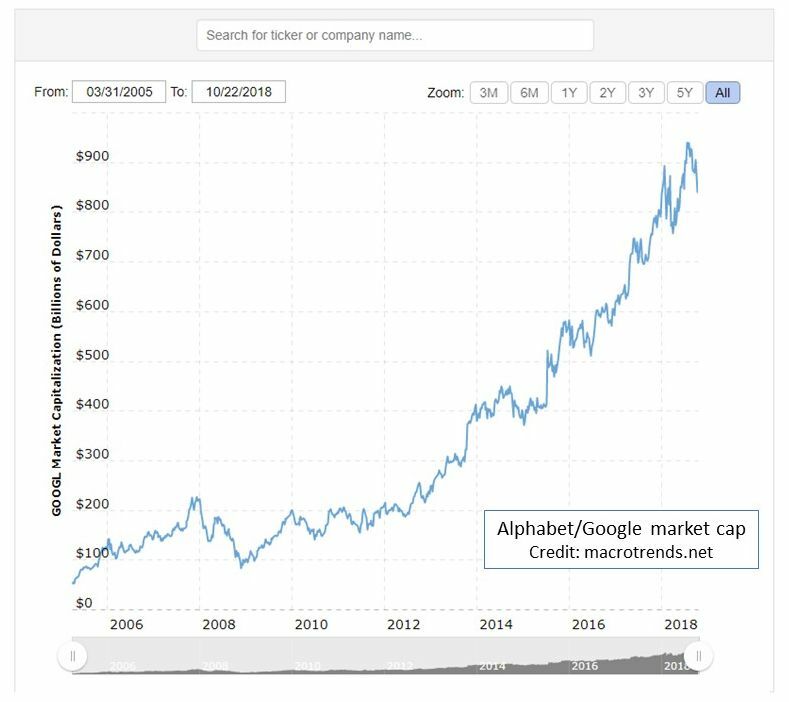 Google’s market value continues to chug upward, albeit with recent corrections that are relatively minor compared to those of Facebook and Twitter. In essence, Google would be the Deutsche mark in Soros’s 2018 social media scenario. It’s the strong participant that’s performing a function Soros does approve of; the necessary counterweight to the vulnerable participants Soros is attacking, in order to blow up the function they perform (hosting unwelcome voices for profit, and in general, perpetuating the American national idea that they should be hosted, without censorship or prohibitive preconditions). And like the Deutsche mark, Google, with its accommodation of censorship, has the potential to emerge from the breakup of the current social media system as the benchmark and center of gravity for the new paradigm that would come after it. It should come as no surprise, therefore, that Soros has been buying and selling social media shares. His activities are most notable with Facebook and Google. 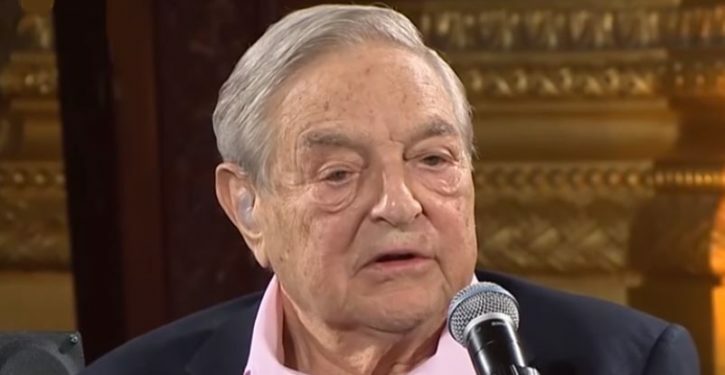 In August, Joe Schoffstall at Washington Free Beacon observed that Soros had bought big into Facebook in the second quarter of 2018 – after his rant against social media at Davos in January, and a sell-off a few weeks later (which got analysts’ antennae twitching about what his intentions were). The bets are also in stark contrast to the mission of a coalition of progressive groups who received funding from Soros that are attempting to break up Facebook. Freedom from Facebook, the coalition of liberal groups who want to break up the company, consists of the Open Markets Institute, MoveOn Civic Action, SumOfUs, and Citizens Against Monopolies—many of which have received funding from the billionaire. But as we saw with the raid on the British pound in 1992, Soros has a long history of trading robustly in his targets. He’s also buying Twitter. It’s equally interesting that at the same time, as Schoffstall recounts, Soros reduced his holdings in Google. What a little research shows is that Soros is getting in and out of positions in social media, and has been doing so both before and after his rant at Davos. The pace and timeline may not be the same as in 1992, but the basic muscle movements are similar in principle. In conjunction with his other shaping activities – the pressures cooked up through Media Matters and the Brock organization, the manifesto at Davos, the bad press about hackings and “fake news” and “Russian bots” – it’s clear that buying and selling social media are not mere market dabbling for Soros. He’s working a campaign. The hint of it is there in the noticeable divergence of his market activity from his seeming opinion of the product. And it has the three features of his 1992 raid on the pound. Can legislators and conservatism’s leading voices just stand by? This brings us full circle to the purge of last week, in which hundreds of small entrepreneurs were harmed by Facebook’s summary deletion of their years of hard work. This didn’t just happen because Facebook got a wild hare up one day. It is apparently the product of a concerted campaign to stress and fracture social media – in part by separating them from a profitable relationship with some of their best partners, conservative publishers and users. Soros has many willing accomplices in his campaign, some of them working inside the media companies themselves. The point here is not to excuse Zuckerberg or Dorsey, or single out Soros as if he’s somehow doing it all himself. He’s a leader with a vision, galvanizing (and funding) others who bring their own, similar motives and relevant talents. The point is, on the other hand, to emphasize that this campaign is not something other conservatives can afford to ignore, just because they weren’t affected by this particular purge. Soros is right about one big thing: social media are a system. They’re a developing paradigm for human relations today, with all that means about broad penetration of daily life, and rights, investment, obligations, and legal principles. And because social media are being put under deliberate stress, the stress behavior is starting to hurt real people. Equally important: by letting the army of coordinated attackers drive events, we are abandoning the future of social media to their plans and visions. After she was deleted in the 11 October purge, successful conservative Facebook publisher Tanya Grimsley (who has posted at LU in the past, and now runs Great American Republic) asked an important question. Where are the high-profile pundits and politicians while this is going on? What are they doing to defend the Facebook publishers who amplify their messages to a base that never hears from them via any mainstream, legacy media outlet? What good will your voice be when there is no one to take it further because the ones who were passing along your messages have been purged? I’ve begun to see pushback from some of the high-profile pundits in the last few days. I’ve been advised by associates of visits to brief congressmen on Capitol Hill. Those are encouraging signs. But I would also ask a question, after laying out this survey of what a Soros campaign looks like. Do they understand that this is a big-system battle, not over fake news or Russian bots, and not over whether every conservative webpage is their kind of webpage, but a battle for the future of information and communication? Because George Soros understands it. That question-set at the beginning of this article, about freedom, privacy, authenticity, regulation? Soros and his associates have their answers in mind already – and he’s putting one of his signature pressure campaigns behind them. If we let him break the system, it had better be because we’ve decided what our goals are, and we see how letting him do the break-up work could serve them. Otherwise, the losses when our most essential voices are shouting into a void will be hard to recover from. * This conclusion is derived from related comments about the 1992 event by observers (links in text), and Soros’s history on national sovereignty and its “outdated” definitions. See any in-depth treatment of Soros to verify this; for a bulletized discussion that is not in-depth, but has the merit of quoting Soros directly on the topics of national sovereignty and economic issues, see here. The Matthew Vadum/FrontPage link at “national borders” in the text is very worthwhile. ** One parenthetic note. Soros’s views on nation-states and national interests are clearly intertwined with his embrace of the “open society” concept formulated by Henri Bergson and popularized, in somewhat altered form, by Karl Popper. Most Soros-related treatments of the “open society” concept are superficial – that’s hard to avoid, frankly – and I don’t plan to develop the point here, as it would make this article far too long. But I will make one key observation on the matter. Today’s commentators are often ill-equipped to understand that Popper’s “open society,” in particular, represents more of a triangulation against Marxism than a true defense of freedom and political consensualism using the first principles of Western values. Thus, Soros’s appeals to open society values have a sound that is reassuring to modern Western ears. But they are not consonant with the American idea of God-given rights to forms of liberty, the protection of which is the purpose of national government. They come from a very different set of premises.